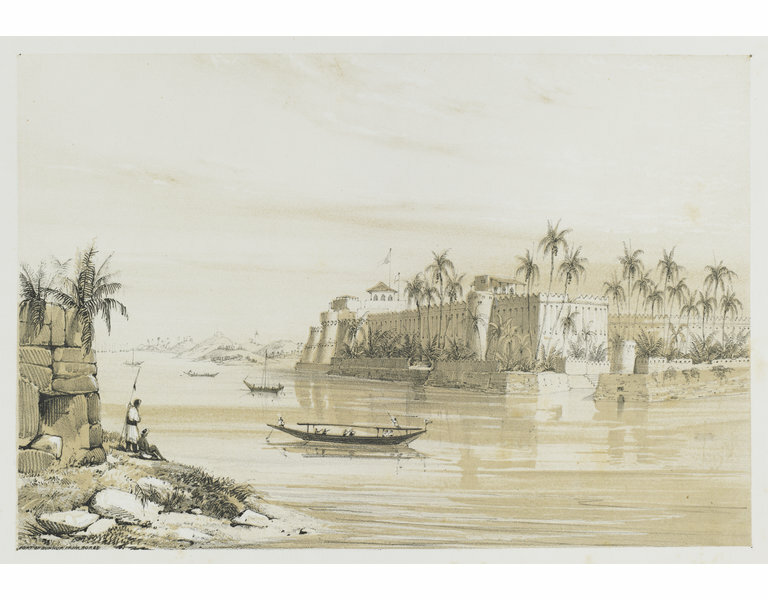 Lithograph, tinted with one tint stone, with additional colouring by hand, depicting a view in Afghanistan. Volume of plates (26) including frontispiece, title page, and map, with a vignette and descriptive text. Publisher's cloth rebacked in green morocco. The title on the title page is embossed. Some plates signed. Each plate lettered with title. 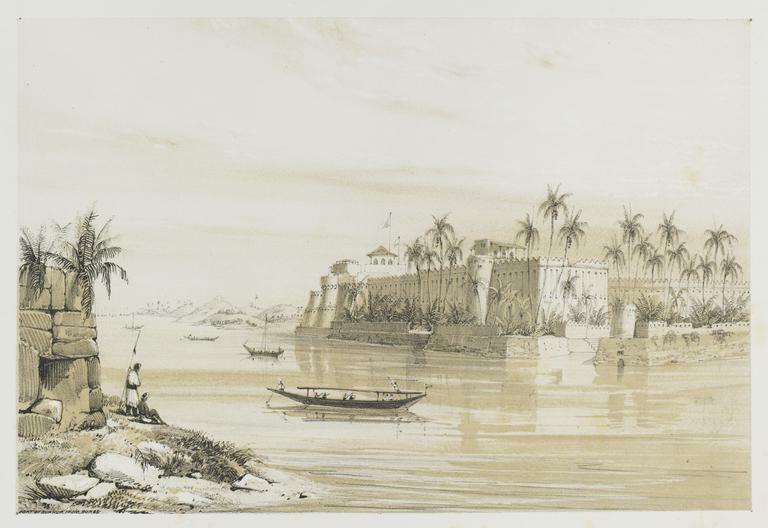 Lithograph depicting the fort at Bukkur on the Indus river, after a sketch by Sir Keith Alexander Jackson from a volume of plates (26) entitled 'Views In Affghaunistan', published by W. H. Allen and T. McLean. Great Britain, 1841. 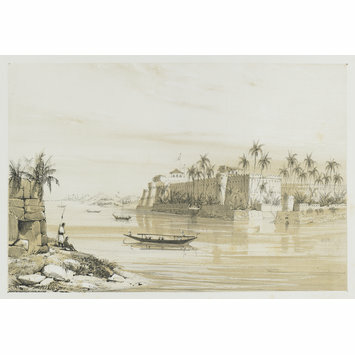 The views are from sketches taken by Sir Keith Jackson during the campaign of the Army of the Indus. The dedication is by Joseph Fowell Walton. The plates do not all correspond to those listed by Abbey. In Abbey's volume, some of the plates are signed by W. L. Walton.